Two servers at the Murfreesboro Texas Roadhouse made a little boy's birthday special by not only wishing him happy birthday, but also signing it to him. Octavius Mitchell Jr. was born hearing-impaired. For his fourth birthday, his mom and uncle took him out to eat. 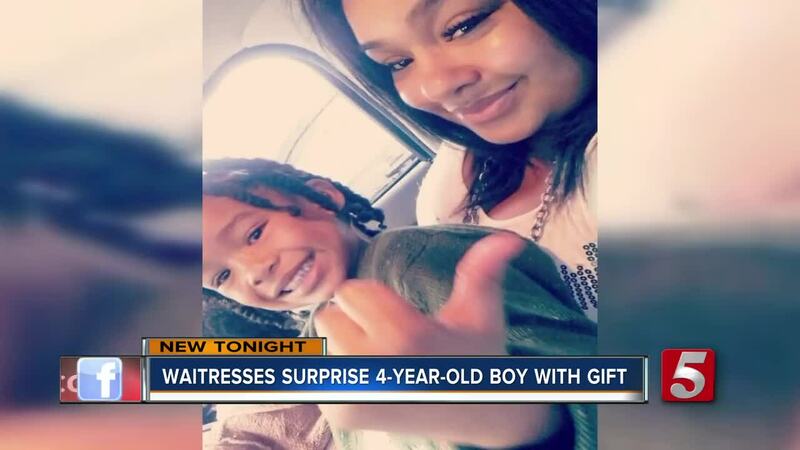 On Wednesday, a group of waiters and waitresses gave him the traditional restaurant birthday treat by placing him to sit on a saddle, but afterward, two servers came back to their table to make it extra special. "I’m sitting there and I’m watching from a distance, and the mom is signing to the little boy which I noticed he had his hearing aids," waitress Kathryn Marasco said. Marasco asked her coworker Brandie White if she knew how to sign happy birthday. White was studying Speech-Language Pathology and Audiology at Middle Tennessee State University. The women said they went online to look at how to sign happy birthday. "She comes up to me and says Kat, Kat. I found a YouTube video of how to sign happy birthday. So we're sitting down next to each other. It took us two seconds to learn it," Marasco said. After signing happy birthday to Octavius, his mother said she got very emotional. "Everybody thinks we're crazy when we're out talking and we're signing. So it's really important to me that someone noticed that and picked up on that and made that special just for him, my baby," Shatika Dixon said. "As a server I want you to be able to come in, I want to be like, 'Oh this is my home. I belong here,'" White said. Octavius' mother said the entire night was memorable. She said this was his first time signing with people other than herself and his teacher.